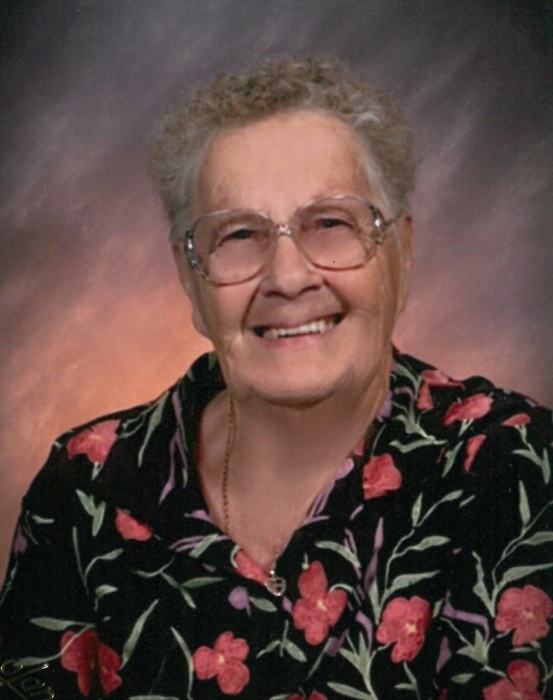 Loretta Mae Jacobsen, 92, passed away peacefully on April 10, 2019, at Regency Village in Prineville. She was born Jan. 20, 1927, to Harder and Emma Kuhl in Missoula, Montana. She attended schools in Missoula. On April 18, 1947, she married Frank Jacobsen. They lived in Missoula until Frank passed in 2004. Then Loretta moved to Prineville. Loretta was a member of the First Presbyterian Church in Missoula and Prineville. During the time Loretta lived in Missoula, she was very involved in the Orchard Homes Country Life Club for more than 50 years, including many years as their custodian. She was active in the Social Circle, Women’s Club and the Hawthorne PTA. At their family home on Third Street in Orchard Homes, Loretta and Frank raised five children. In order to feed their growing family, they had a large garden, where they grew enough vegetables to can and freeze, raised cows for milk and meat, and chickens for eggs and eventually the freezer. Loretta also cleaned houses to supplement the family income. Survivors include sons, Jim and Sue of Boise, Idaho, and Ted and Mary Ann of Spokane, Washington; daughters, Marcy and Bob Pyron, of Missoula, Montana, and Rosy and Toby Case, of Prineville; son-in-law, Jim Kost, of Missoula, Montana; brother, Allen and Dorothy Kuhl; 10 grandchildren; and 15 great-grandchildren. She was preceded in death by her parents; her baby brother, James Kuhl; her husband of 56 years, Frank; and daughter, Cindy Kost. At Loretta’s request, no funeral services will be held. Loretta’s family will gather at a later date to scatter their parents’ ashes in Montana. Loretta requests memorials be made to the First Presbyterian Church Children’s Fund, 1771 NW Madras Highway, Prineville, OR 97754, or a charity of your choice. Arrangements are under the care of Prineville Funeral Home. The family of Loretta Jacobsen would like to extend a very special thank you to all of the staff members at Regency Village for your loving care of their mother. Also, thank you to St. Charles Hospice for your diligent care.